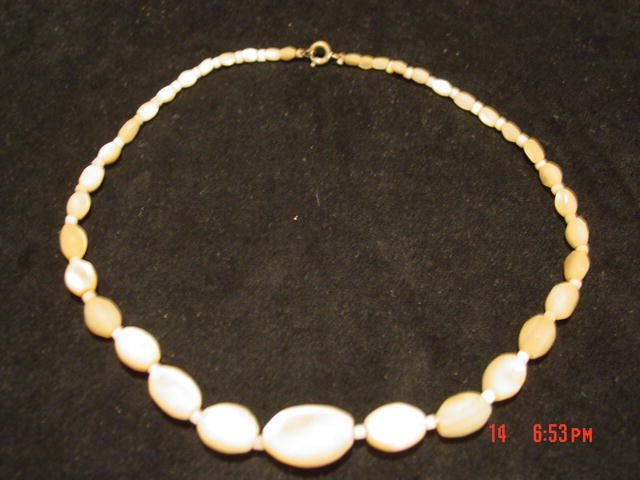 This is a vintage 1930's 15" mother of pearl beaded necklace. The beads are graduated in size and have tiny beads between each larger one. I don't think the pictures do it justice at all. The beads shimmer when they catch the light, and it makes it hard to photograph while they staying still. 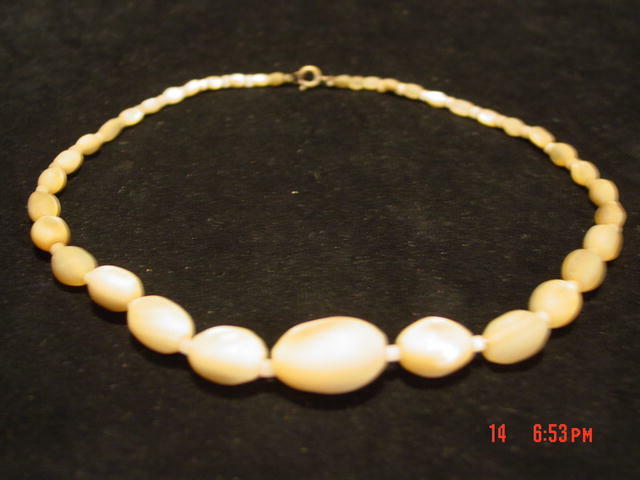 Items Similar To "Vintage 1930's 15" Mother of Pearl Beaded Necklace"